A thermoelectric PowerCard like this one can be used to convert waste heat into an electric power source, Alphabet Energy says. Matt Scullin's company, Alphabet Energy, is working on technology to convert waste heat into electricity. 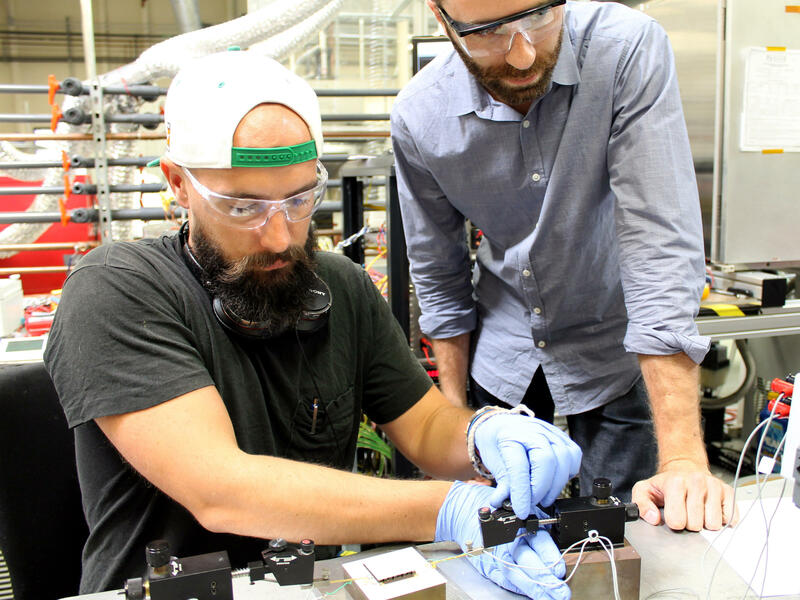 Jordan Chase (left), Alphabet Energy's lead engineer, and CEO Matt Scullin measure PowerCard properties in the company's lab in Hayward, Calif.
What if there were a way to take the waste heat that spews from car tailpipes or power plant chimneys and turn it into electricity? Matt Scullin thinks there is, and he's formed a company to turn that idea into a reality. The key to Scullin's plans is something called thermoelectrics. "A thermoelectric is a material that turns heat into electricity," he says. Never heard of thermoelectrics? Don't feel bad. They tend to have rather esoteric uses. For example, NASA uses them to turn heat into electricity to power spacecraft. But NASA is using older technology. Scullin says there's a new class of thermoelectrics developed at Michigan State University made from a compound called tetrahedrite that can do a better job for less money. One factor working in Scullin's favor: There's plenty of waste heat out there to be harvested. "We waste heat because of the laws of thermodynamics," he says. Those laws state that it's impossible to use the energy in fuel to power a car or generate electricity without some of that energy going to waste. Thermoelectrics haven't attracted much attention in the alternative-energy world, but Scullin seems to be drawn to areas others have overlooked. That was on display his very first days as an engineering undergraduate at the University of Pennsylvania. "At orientation, there was a table set up for every major in the engineering school," he says. "And computer science had 30 kids crowded around the table and one professor. Mechanical engineering was similar. And then the material science table had no students at it, and two professors. So I said I'd better go there, and figure out what's going on." Scullin liked developing new materials, so when he finished up at Penn he headed out to UC Berkeley for a graduate degree. At Berkeley he began to get interested in the world of alternative energy. And then he realized that developing new thermoelectric devices was a way to merge his expertise in materials with his interest in energy. Rather than pursue this in an academic setting, Scullin wanted to have a more tangible impact, so he decided to start a business, although his business training was rather idiosyncratic. "The way that I learned about startups in kind of a real intense way is when a buddy from Penn called me up and said, 'Hey Matt, I'm going to start an online gambling company, and I'm going to come out to the Bay Area to do this. Can I crash on your couch for a couple weeks?' And you know I lived in a studio in Berkeley as a grad student. And I said, 'Hey yeah, you can have the couch for a couple weeks. Sounds fun.' "
So the friend showed up. "Six months later he was still on my couch, and I had been there with him as he hired a team, and found his first investors, and figured out how to get this company started. So I thought well, if he could do it, I could do it, and why not?" Scullin's company is called Alphabet Energy, and it's located in a small industrial park in Hayward, Calif.
After we donned protective eyewear, Scullin took me on a tour of the company workspace. "We've got a combination of lab and manufacturing back here. And this thing that you're looking at is the largest thermoelectric test system that I believe exists in the world," he says. Scullin picks up what looks like a small printed circuit card. It has a thermoelectric imbedded in it. He calls it the PowerCard. "The cool thing about this PowerCard is that it's like a cell," he says. "You can almost think of it like how a solar cell is with the sun. You can put one out in the sun, and get a small amount of power, or you could put a square mile of solar cells out in the sun, and you've got a power plant." Scullin says it's the same with these thermoelectric PowerCards. If you've got a large waste heat source, like the exhaust stack of a coal-burning power plant, then you string together a lot of PowerCards. But if you don't have much heat, you only use a few of them. "Eventually, we'd like to have thermoelectrics on the human body, and in buildings and in all sorts of other locations," Scullin says. He acknowledges right now, thermoelectrics are a tiny part of the electricity generating market. And Scullin knows he's facing a lot of hurdles to get people to try his new technology. "I stay excited because I get to geek out about these things that I really love. And at the same time, I get to build something. And that's really what I want to be doing. I want to be making something," Scullin says. He says that's more important than making a fortune. "Don't get me wrong. We'd love to make tons of money here at Alphabet Energy. That's what we're going for. But this is a long-term project. This is something that we think we have to work on for a long time to make it a success." There's a new kind of entrepreneur showing up in California's Silicon Valley. Instead of making high-tech electronics or software products, these new tycoons-in-waiting are seeking their fortunes in alternative energy. As part of his project Joe's Big Idea, NPR's Joe Palca has the story of an inventor who hopes to build a business empire turning waste heat from power plants and cars into usable electricity. JOE PALCA, BYLINE: Even when he was just starting out as an engineering undergraduate at the University of Pennsylvania, Matt Scullin was drawn to topics other people overlooked. MATT SCULLIN: On the first day, at orientation there was a table set up for every major in the engineering school. And, you know, computer science had 30 kids crowded around the table and one professor. And mechanical engineering was similar. And then the material science table had no students at it and two professors. So I said, I better go there and figure out what's going on. PALCA: Scullin liked developing new materials. So when he finished up at Penn, he headed out to Berkeley, Calif. for a graduate degree. While at Berkeley, he began to get interested in the world of alternative energy. But while most people were focused on solar or wind power, Scullin was looking at an energy source most people ignored, waste heat. SCULLIN: We waste heat because of the laws of thermodynamics. 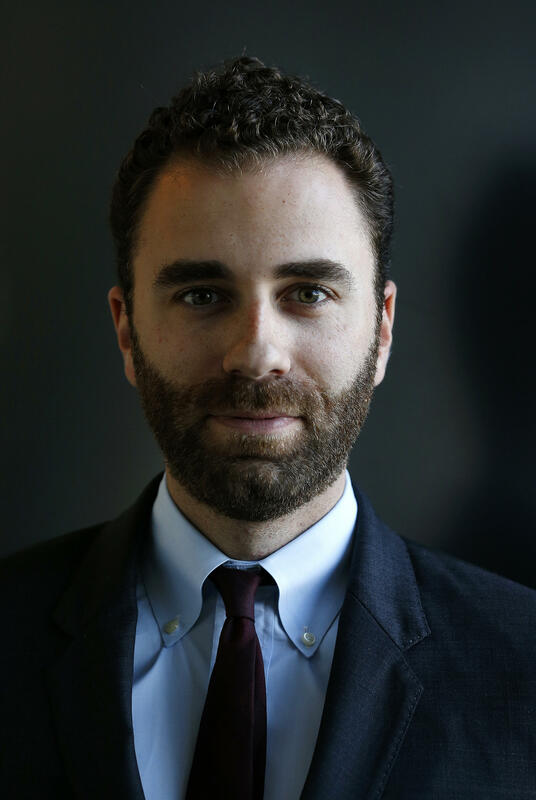 PALCA: Those laws basically say it's impossible to use the energy and fuel to power a car or generate electricity without some of that energy going to waste. SCULLIN: And one way that we could use more of it is by taking all of this waste heat, like exhaust from things like power plants and factories and vehicles and other engines, and turning some of that into electricity. PALCA: And then he realized there was a way to merge his expertise in materials with his interest in conserving energy - thermoelectrics. SCULLIN: A thermoelectric is a material that turns heat into electricity. PALCA: Never heard of thermoelectrics? Well, don't feel bad. They tend to have rather esoteric uses. For example, NASA uses them to turn heat into electricity to power spacecraft. Scullin wanted to use thermoelectrics to capture everyday waste heat and turn it into everyday power. But how best to do that? Scullin was getting a bit antsy in grad school. He knew there were cheaper, more efficient thermoelectrics being developed at Berkeley and Michigan State. And he had ideas about how best to use them. He began to think, maybe I should start a company. After all, I do know something about doing that. SCULLIN: The way that I learned about startups in kind of a real intense way is when a buddy from Penn called me up and said, you know, hey, Matt, I'm going to start an online gambling company. And I'm going to come out to the Bay Area to do this. Can I crash on your couch for a couple weeks? And, you know, I lived in a studio in Berkeley as a grad student. And I said, hey, yeah. You know, I don't have a lot of room, but sure, you can have the couch for a couple weeks. Sounds fine. PALCA: So the friend showed up. SCULLIN: And six months later, he was still on my couch. And I had been there with him as he hired a team and found his first investors and figured out how to get this company started. So I thought, well, if he could do it, I could do it. And why not? PALCA: So six years ago, he left academia and started a company. The company is called Alphabet Energy, and it's located in a small industrial park in Hayward, Calif.
SCULLIN: This is special music for the thermoelectrics. This is the soundtrack of the day, I guess. There's always some music blasting back here. PALCA: They were kind enough to turn off the music so Scullin and I could talk. SCULLIN: We've got a combination of lab and manufacturing back here. And this thing that you're looking at is the largest thermoelectric test system that I believe exists in the world. PALCA: Scullin reaches over to a lab bench and picks up what looks a bit like a small printed circuit card. It has thermoelectrics embedded in it. He calls it the power card. SCULLIN: The cool thing about this power card is that it's like a cell. You can almost think of it like how a solar cell is with the sun. You know, you can put one out in the sun and get a small amount of power. Or you could put a square mile of solar cells out in the sun, and, you know, you've got a power plant. And it's the same with these what we call power cards - these thermoelectric devices - because if you've got a lot of waste heat, you can stick a lot of them in the heat. PALCA: But if you don't have that much, you only need to use a few of them. SCULLIN: Eventually, we'd like to have thermoelectrics on the human body and in buildings and in all sorts of other locations. PALCA: Basically, anywhere you've got some heat going to waste. Scullin acknowledges right now thermoelectrics are a tiny part of the electricity generating market. And he knows he's facing a lot of hurdles to get people to try his new technology. SCULLIN: I stay excited because I get to geek out about these things that I really love. And at the same time, I get to build something. And that's really what I want to be doing. I want to be - I want to be making something. PALCA: And he says that's more important than making a fortune. SCULLIN: Don't get me wrong. We'd love to make tons of money here at Alphabet Energy. That's what we're going for. But, you know, this is a long-term project, right? This is something that we think we have to work on for a long time to make it a success. PALCA: And right now at least, Scullin says he'll stick with it as long as it takes. Joe Palca, NPR News, Hayward, Calif. Transcript provided by NPR, Copyright NPR. 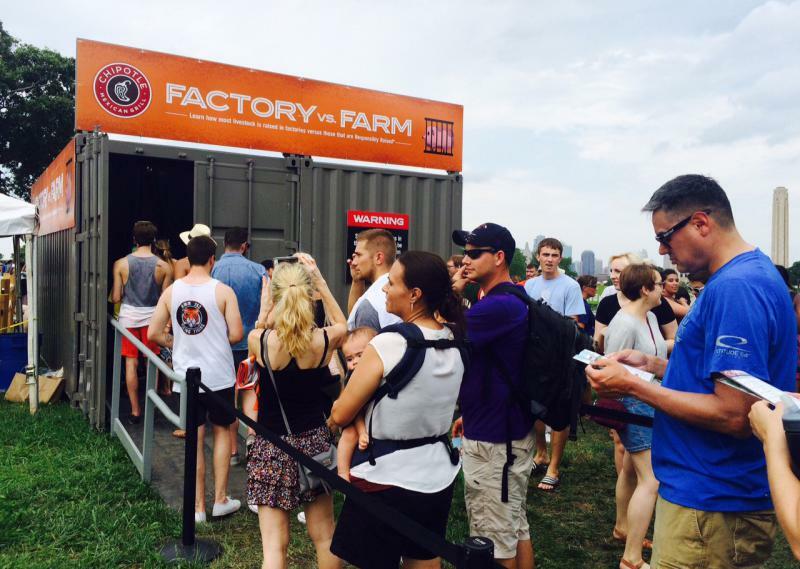 The Chipotle Cultivate Festival in Kansas City, Mo., on July 18 had it all: an indie pop band onstage, long lines at the beer booths. It was like a Grateful Dead concert, only with free burritos. But this and the three other Chipotle Cultivate events held across the country this summer were more than just a classic summertime music festival. Billed as offering "food, ideas and music," the festival offers a chance to "learn a free burrito," by going through four exhibits. Across the U.S., small farmers have been struggling for years with low commodity prices and rising production costs. Even for organic farmers, who can justify higher prices, making a profit is tough. 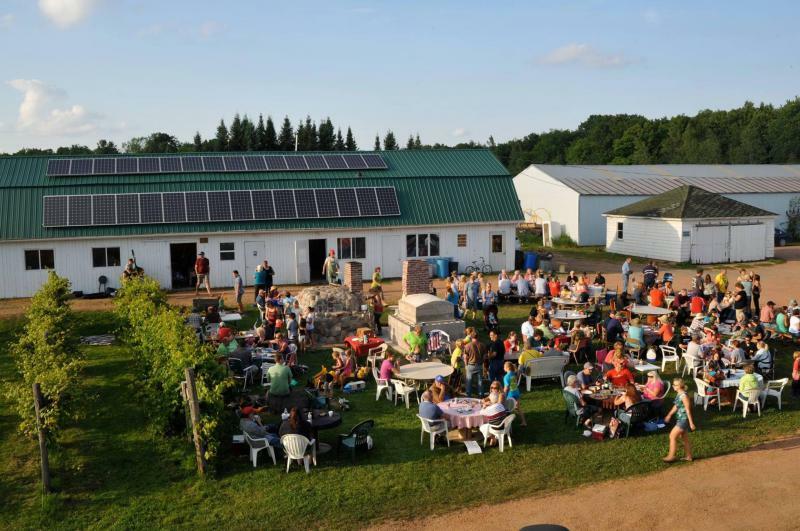 But throughout the Midwest, a new farm-to-table strategy is giving a boost to some farmers. 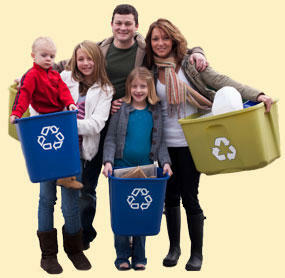 The City of Ann Arbor is always looking for ways to become more environmentally friendly and eliminate waste. In its efforts, Recycle Ann Arbor was recently awarded $51,500 in grants by the State of Michigan for two educational programs.